Traveling with children is always an adventure. The umpteen bathroom breaks, the chorus of “are we there yet?” as soon as you pull out of the driveway, the random goldfish cracker soaring into your rearview mirror as you attempt to merge onto the highway. Then there is all the stuff (so much stuff!). It’s enough to make you channel your inner Martin Brody from the movie Jaws. But instead of a bigger boat, you’re going to need a bigger car. In fact, traveling with children is such a hassle that travel strollers are a must have! Whether you’re taking a road trip to visit the in-laws or a European cruise, they’re an absolute necessity. 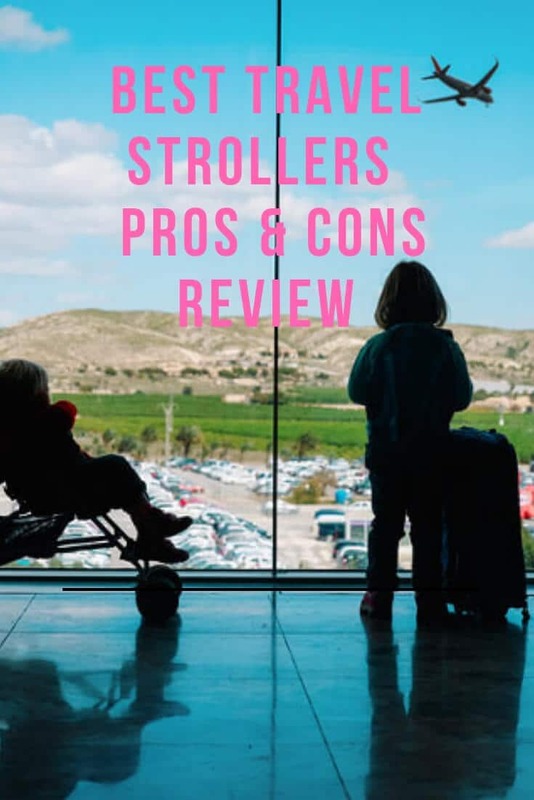 Why Buy a Travel Stroller – Is a Travel Stroller Worth It? 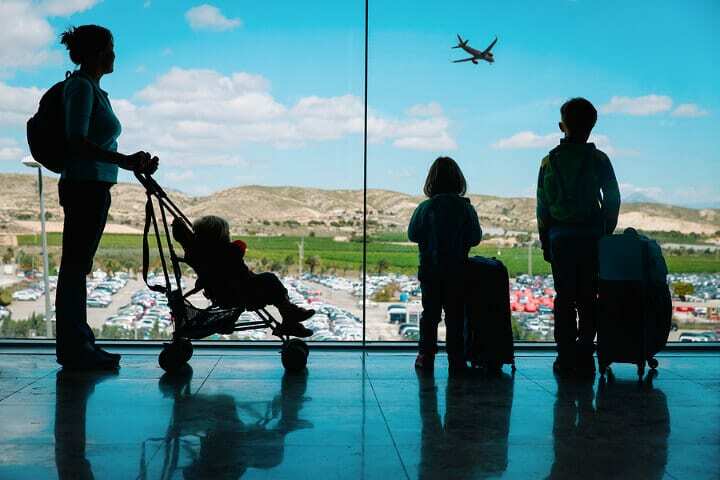 There are many reasons why travel strollers make smart purchases. They’re lightweight, which makes them easy to handle (especially when juggling the suitcases you have) and easy to carry up and down stairs or on and off of busses. They’re easy to gate check, fitting through security machines at the airport. And they’re very compact – they fit snuggly into trunks of cars as well as the overhead bins of airplanes. They act like a mini-version of the big, bulky stroller you have at home – keep the comfort for your kiddo even when you’re away from the comforts of home. Their compactness also makes them a pleasure to use at amusement parks, zoos, shopping malls or wherever there’s lots of people. You can easily maneuver through crowds without running into things and running over toes. This is a durable stroller that has a lightweight frame that’s easy to fold. It’s visually sleek and stylish with storage compartments for toys, books, and diapers. It also has a carry strap. Parents like that this stroller is sturdy and stable. They also like the ample storage space, the large canopy, and the easy-to-recline seat (no pull of the tension cord needed!). The mechanism that makes the stroller easy to collapse is a sought-after feature too. Parents don’t like that the canopy lacks a peek-a-boo window and must be removed before it can be folded. The seat itself also sets low to the ground, which might be too low for some taller children. This stroller is marketed as the “World’s Smallest Folding Stroller.” It has a two-step folding design with a Guinness World Record for “Most Compact Stroller.” It carries children up to fifty-five pounds as well as eleven pounds of gear. In the pros column – you guessed it – the compactness; parents love how easy it is to tote around. It takes up minimal space (in the car or in your home) and is simple to carry. The aesthetics are also sleek and stylish. In the cons column are the handles – they are more difficult to fold than other parts of the stroller and not as sturdy. The sunshade could also be more affective, and some parents would like more of a recline. This stroller is lightweight with a reclining seat. It also features a large canopy and a one-hand, self-standing fold. The storage is ample as well. The pros of this ride include the durability, the smoothness, and the see-through sheet in the visor. It’s also very easy to assemble and has a holder for a sippy cup. The cons of this ride are the one-hand fold sometimes takes two hands. The visor also tends to knock the cup out of the cup holder. And kids are easily able to wiggle out of the shoulder harness. This stroller is very compact with an adjustable harness system. It also offers one-hand push steering, a pedal brake and an overhead canopy. The benefits of this stroller include its size: it’s as small as a backpack, making it easy to carry and store. It’s also made with sleek and stylish material. The ride is very smooth and it rolls over rough surfaces with ease. The biggest drawback is that the stroller does not recline. The size prevents it from being able to hold a diaper bag on the handles (otherwise, the stroller flips). It’s also difficult to open with one hand. This product features a five-point safety harness, a parent tray organizer (with two cup holders), and a dual foot activated parking break. Parents enjoy the console to store phones and keys as well as the ease of folding. The ride is also smooth and effortless. The padded handlebars are a perk too. Parents don’t love that it’s not easily pushed one-handedly. It doesn’t recline for smaller children (as much as it does for bigger children) and the canopy is limited in the amount of sun it blocks. This product comes with a parent organizer and a roll-up padded seat. It also has a three-point safety harness, extra long foam handles, and a footrest. The benefits of this stroller include the comfort (for riders and pushers). The visor is extra large and affords a great deal of sun protection. The back padding is removable, allowing for the stroller to breathe when the weather warms. And the stroller locks when folded. The negatives include no quick release – the stroller can only be unlocked and unfolded with two hands. It also lacks shoulder straps and the wheels may squeak. This stroller features an upgraded brake lock system, an adjustable seat, and a retractable canopy. Parents love that the stroller is easy to maneuver, even with one hand. It’s very compact, easy to clean, and readily stores inside airplane compartments. The recline is a benefit too, allowing kids to nap in comfort. Parents dislike the fold – it often requires both hands. Some parents have also stated that the stroller doesn’t fold as compactly as the pictures advertise. This product offers multiple reclining seat positions and a five-point safety harness. It also comes with a peek-a-boo canopy, roomy storage, and a carry strap for easy transport. The perks of this stroller include the storage – it offers front and back access. The stroller is also compact, comfortable, and easy to open and close; the frame is small but sturdy. And the recline affords for a comfortable nap. The cons include the seat position – the upright position still reclines a little (which some kids do not like). The canopy is limited and the folding takes a while to get used to. A travel stroller is a must-have for parents – it allows you to take your wheels on the road without the bulkiness of a standard stroller. It offers a ride that keeps your kids happy, comfortable, and rolling along. If you’re looking for a solid product, “travel” online and try one of the options above.